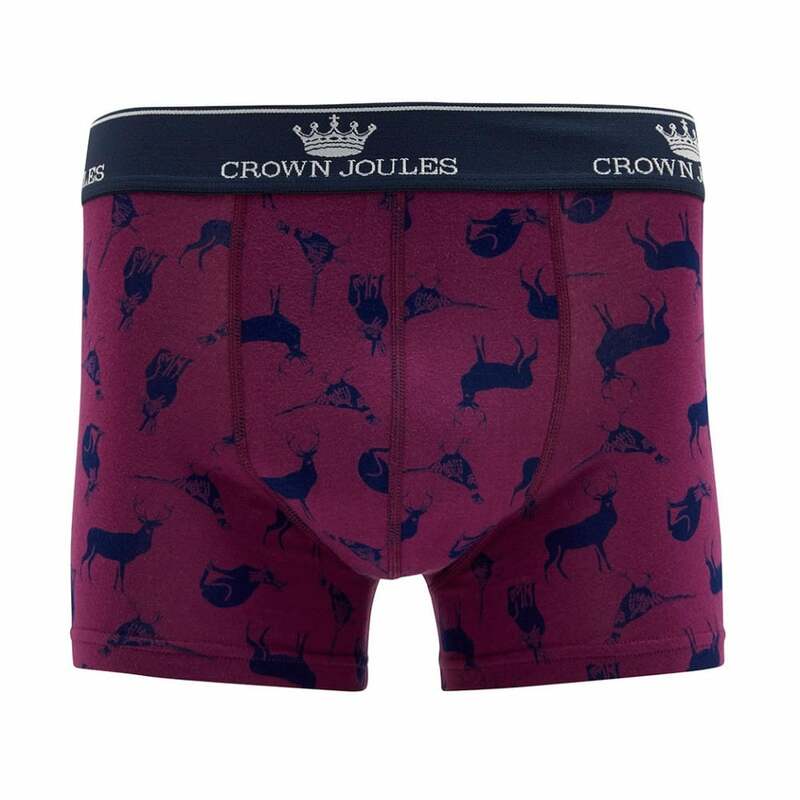 Get your ‘Game On’ this season with these Crown Joules Game On Boxers adorned with a hand-drawn pheasant and stag print. Crafted from super soft cotton that contains a little stretch for a lot of comfort and with an updated elasticated waistband for the new season. Packaged a cotton jersey bag adorned with the same print that ensures this is the ideal stocking filler.